With the onset of Industry 4.0, there is a lot of automation and digital transformation taking place in the manufacturing industry. Companies are experimenting with new emerging technologies to enable a better customer experience and bring in process efficiency. Gargi Chakraborty and Shipra Malhotra of DynamicCIO.com spoke to Arpita Das, CIO, Valvoline Cummins Pvt. Ltd. (VCPL) to know about company’s digital transformation strategy and roadmap for the future. DynamicCIO (DC): Considering the market environment and the competition what are some of the biggest challenges that you are facing as a CIO? 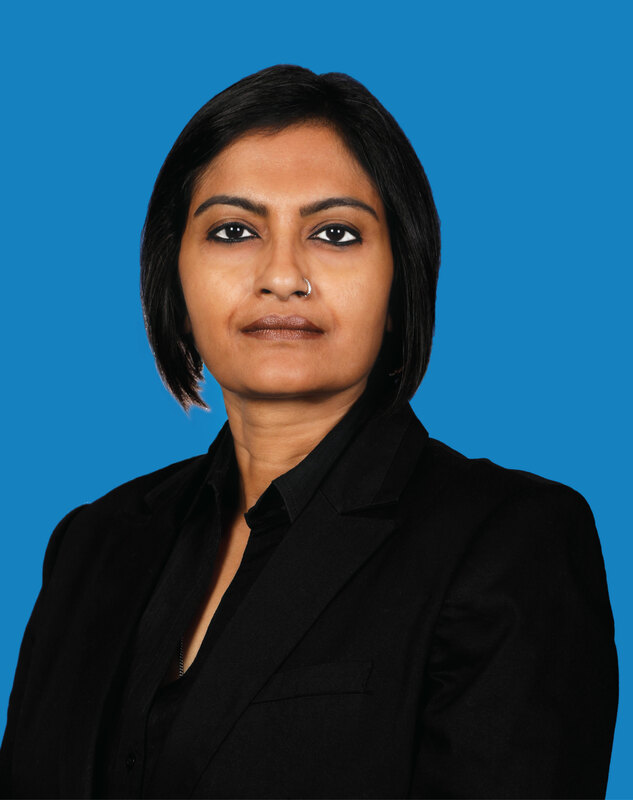 Arpita Das (AD): Valvoline Cummins is a very agile organization. As a CIO, one needs to continuously transform and innovate to sustain growth and meet the expectations of both stakeholders and customers. The challenge is having the correct tools, systems and technology to drive the top line growth as well as ensure that the enabling functions have the right tools and technologies to maintain agility and efficiency. Another significant challenge for me as a CIO is the looming threat of cyber crime and data breaches. DC: Considering these challenges, what’s on your list of priorities for the next one year? AD: My top priority is to enable lean and intelligent operations through innovation and digital transformation of the business as well as the support functions. Currently I am focussed on creating a mobile enabled connected partner ecosystem through digital platform which will drive their growth. We will be launching the system in next couple of months. Last, but not the least, we are in the process of implementing M365 with advanced ATP to create a secured and enterprise wide productive workplace, where VCPL employees feel empowered and drive efficiencies further. DC: Which digital technologies do you foresee defining the future of manufacturing industry? AD: Integration of IOT and AI as a key enabler in the industry is what I think is the next big thing. It will help in classifying the consumption pattern and help in cross-selling and up-selling as well as retaining customers. The information will enable the sales team who can take more of informed decisions. A lot more can happen in our industry with IoT and AI integration. DC: What are some of the key initiatives you have undertaken in the last one year in your journey towards digital transformation? AD: Over the last one year, our major digital initiatives have been in the area of sales transformation under our overarching ‘customer connect program’. To enable our sales teams to maximize their outreach to customers and connect better with them we rolled out a cloud enabled mobile app. The app caters to all the requirements of the salespeople – right from helping them plan/route their customer visits in a more optimized manner to equipping them with all the necessary customer information to help understand their customer better for more effective sales. To begin with, the app helps the salesperson plan his/her day in terms of which customers to visit and by preparing the route for his day’s customer visits for more efficient customer outreach. Once the salesperson is out in the field meeting the customers (retailers), the app ensures that he/she has all the necessary information required to answer any customer queries and to hold an effective and meaningful conversation with the customer. This includes product information/updates as well as information pertaining to each customer, such as orders placed, orders status, delivery status, payment dues, etc. Based on the historical data of past transactions, orders and trends, the system prompts and guides the sales person in terms of which product the customer is likely to buy, which product to push at a given time, upsell/cross-sell opportunities, etc. in order to maximize sales and strengthen the customer connect. The data existing in various disparate systems have been channelized into a single platform for enabling the sales teams to take informed decisions. Currently, we have around 220 sales people in the organization accessing this app. The data is collected from the ERP systems, Beatroute (route generation system system) and Salesforce application and then integrated and collated with BI tool which builds the insight for the sales head for a more data-driven interaction with customers. DC: How are you leveraging AI and ML in this? AD: Essentially, the intelligence is built within the the app with the help of AI/ML to enable the salesperson to have more meaning full and insightful conversation and to push the right product to the customers. The sales teams plan their customer visits and interactions based on extensive Machine Learning (ML) algorithms specifically built for our business requirements. We have used various ML algorithms with geotagging to identify a customer as per his/her usage. For e.g. if there is a counter which specializes in passenger car motor oil, then the app prompts/advises the sales person to serve the customer accordingly. This is available on both the web and mobile platforms. DC: What have been the resultant business outcomes? AD: This key digital initiative has helped us drive up revenues as well as improve customer reach and market penetration. Further we have been able to streamline and standardize the ways of working of all our sales executives, which in turn, has increased the productivity and efficiency of the sales force as well as reduced person dependency. From marketing stand point, it has helped in understanding our customers better. The built in artificial intelligence of the unified communication tool has also helped marketing to understand the pulse of the customers and keep the collaterals more focussed. By transforming data into actionable insights, this tool has empowered our salesforce to have more meaningful and data-driven interactions with our customers which in turn help them to ‘sell smarter’. DC: Have you planned any digital initiatives for your customers considering customer experience is the fulcrum of most digital transformation projects at organizations today? For our customers we have recently introduced a mobile enabled self-service interactive platform for interfacing with the company. This self-service portal is both a web based portal and a mobile based application through which the customer can view all information regarding their order status, dues, account statement, etc. The customers can use it for their interactions with the company, including getting product information, product availability, placing/tracking orders, etc. As the next step, we are exploring if the direct payments can be enabled on the portal and the payment can be routed to the bank site, which will bring process efficiency and important information will go to our SAP systems to be accessed in future. DC: Any new initiatives planned for your manufacturing plants? AD: Our plant uses SCADA systems for automated manufacturing and we are introducing QR code based track and trace mechanism for increasing Supply Chain visibility and improving process efficiencies.